How to get the best deal in personal loan? Personal loans are the easiest way to get funds at short notice. This is because these loans are disbursed within two to three days and one does not have to keep any collateral as security and no guarantor is required. But such easy money comes at a high price as the rate of interest charged on these loans is higher than other types of loans, such as gold loan, home loan, vehicle loan where gold, house or vehicle is mortgaged with the lender. Personal loans are the easiest way to get funds at short notice. This is because these loans are disbursed within two to three days and one does not have to keep any collateral as security and no guarantor is required. But such easy money comes at a high price as the rate of interest charged on these loans is higher than other types of loans, such as gold loan, home loan, vehicle loan where gold, house or vehicle is mortgaged with the lender. So, how does one get a better deal on a personal loan? Check out the rate of interest: It is advisable to compare the rate of interest charged by the bank or the finance company, so that you can choose the best option available. Preferably, one should compare the EMI to be paid for repayment of the loan over the loan tenure and then decide which one to go for. The bank or the finance company that offers you loan at the lowest EMI for a given tenure may be the best option. Foreclosure charges: Enquire whether full or partial prepayment of the loan is allowed by the bank or finance company. If the bank or finance company does not permit foreclosure of your loan, it may not be advisable to take a loan, but if foreclosure is allowed, ask what would be the foreclosure/prepayment charges. If the bank or finance company does not charge for partial prepayment or full foreclosure, it makes sense to go for a loan from such lender. Or if the charges are low, one can consider the option. Also, some banks may allow partial prepayment or full foreclosure only after a period of two or three years, so enquire about the period after which you can prepay partial or full amount of your outstanding loan. So when you have excess funds in your hands you can utilise it for extinguishing your liability and save on your interest outgo. 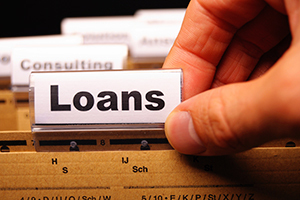 So, instead of going for a personal loan from any lender, it is better to compare the terms of offer of three or four lenders and then settle for the one that offers you the best deal.